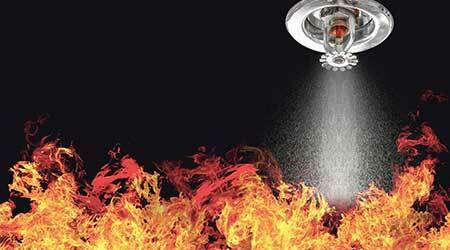 If the facility or its mission changes, facility managers must be able to recognize and understand how those changes might cause a water-based fire suppression system to fail. Throughout a facility’s life, it may undergo changes that affect the water-based fire suppression systems. Changes in occupancy type, hazard type, building additions or renovations, and aging can impact fire water demand, while infrastructure alterations and age can influence the fire water supply. Additionally, changes in prevailing codes and standards can always be expected. Facility owners typically apply either NFPA-25 or FM Global data sheets when establishing their inspection, testing, and maintenance (ITM) routine. Both sources provide guidance on the frequency of ITM-related tasks in great detail. As a facility or its mission changes, it is possible to recognize basic types of changes that might cause a water-based fire suppression system to fail routine testing, even if the system was properly designed to suit the original facility and is well maintained. 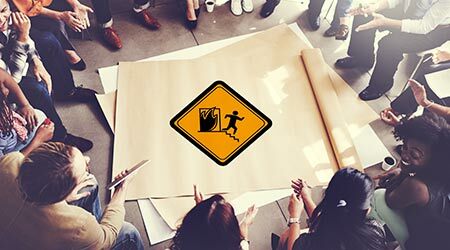 Changes to facilities that alter the occupancy group, hazard classification, building footprint or building height are cause for a complete re-evaluation. Below are some examples. Because standpipe systems generally place the highest fire water demand on a facility, changes that affect a new standpipe system or affect an existing standpipe system may render an existing fire water supply inadequate. Keep in mind that automatic standpipes place particularly high demands on water supplies, and that partially-sprinklered buildings have higher standpipe flow demands than fully-sprinklered buildings. Vertical additions to a building without a standpipe system may require that a standpipe system be added. Vertical additions to a building with an existing standpipe system in which a story or stories are added increases demand pressure. Horizontal additions to a building with an existing standpipe system in which an exit stair or stairs are added increases demand flow. Horizontal additions to a building with an existing standpipe system in which a horizontal exit or exits are added increases demand flow. Helipads added to rooftops have unique fire suppression requirements. Fire sprinkler system demands will generally be lower than that of standpipe systems. However, there are instances where changing fire sprinkler demands also create hydraulic demands that exceed supply. Fully sprinklering a partially sprinklered facility may create a new hydraulically remote area. Changing the use of a space to a higher hazard will increase the required flow density, and may require a new fire sprinkler layout. An example of this is changing office area to storage. Adding interior walls in a remote area of the building may require additional fire sprinklers. The effects of aging of on water-based fire suppression systems include corrosion, scale, and sediment. These problems are normal because of water coming in contact with metallic components. Increased friction loss through metal piping and oxidation of wetted sprinkler head components mean that fire suppression systems and components have a finite life span. The risk of fire water demand exceeding supply is that a fire suppression system will not perform when it needs to. The risk of failing routine inspections or tests can be the same, but if inspection and testing is truly routine, then problems will be recognized and addressed. The effects of facility changes may not be immediately evident, particularly when changes are made to municipal infrastructure (supply) by the municipality, or when building renovations are self-performed (such as small projects in hospitals). When engaged, registered design professionals should be able to recognize the types of changes that affect the existing fire suppression systems and modify them to meet changing requirements. ITM of water-based fire suppression systems is a vital part of facility ownership. By conducting routine ITM, an owner may be able to recognize operational issues as they develop by comparing fire suppression system performance test results over time.